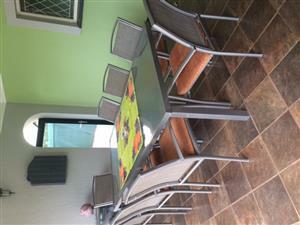 This beautiful table can seat 6-8 people. 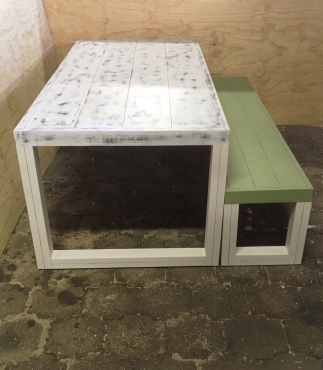 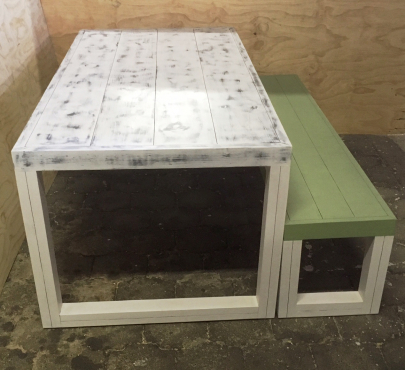 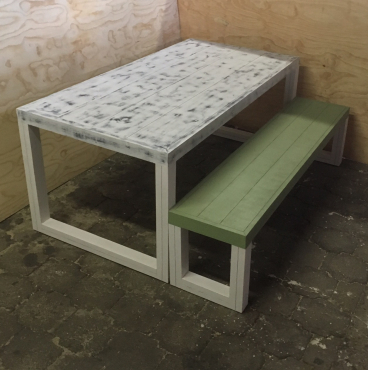 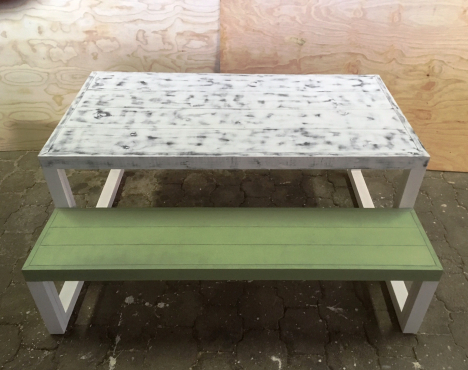 The table top consists of distressed 38mm thick slats whilst the body of the table is plain white. 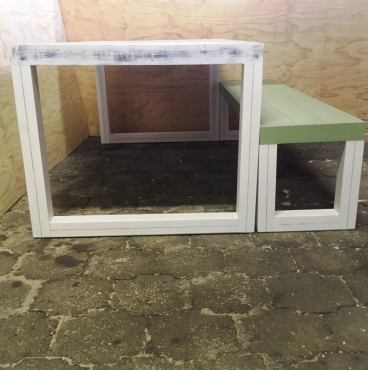 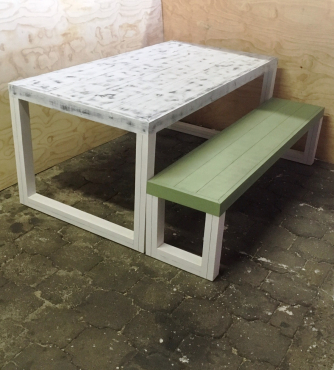 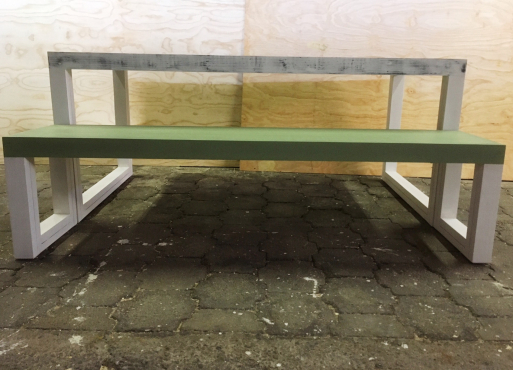 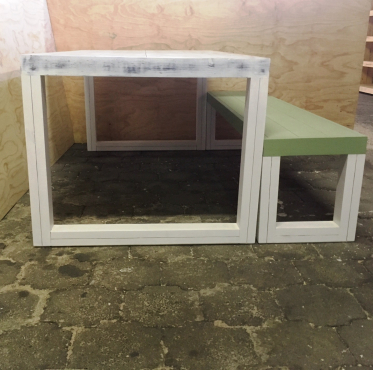 Beautifully designed rectangular legs for both table and bench provide for additional support and stability. 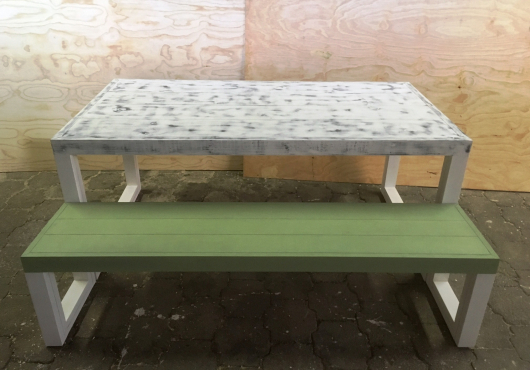 The bench top is in Olive green, a nice contrast with the rest of the combo. 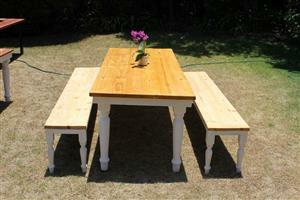 Will also be an excellent dining-room table. 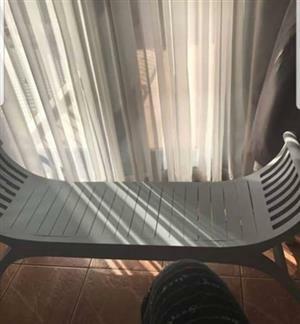 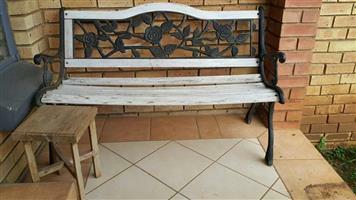 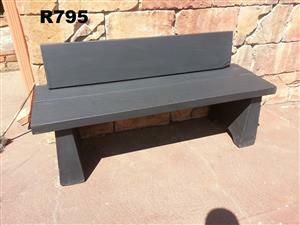 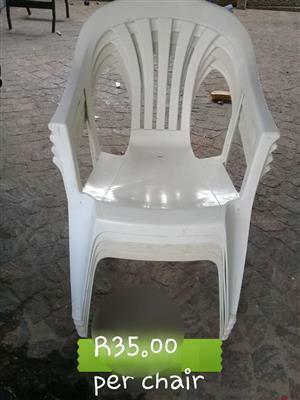 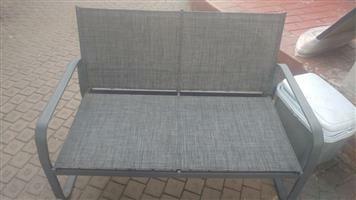 Price includes 1 bench only.